Features	: beautiful unfurnished 1 bedroom ground floor apartment with garage and common courtyard garden. Rental Price: € 1350,= including g/w/e & Parking spot in Garage. Well maintained and beautifully finished apartment on the spaarne. 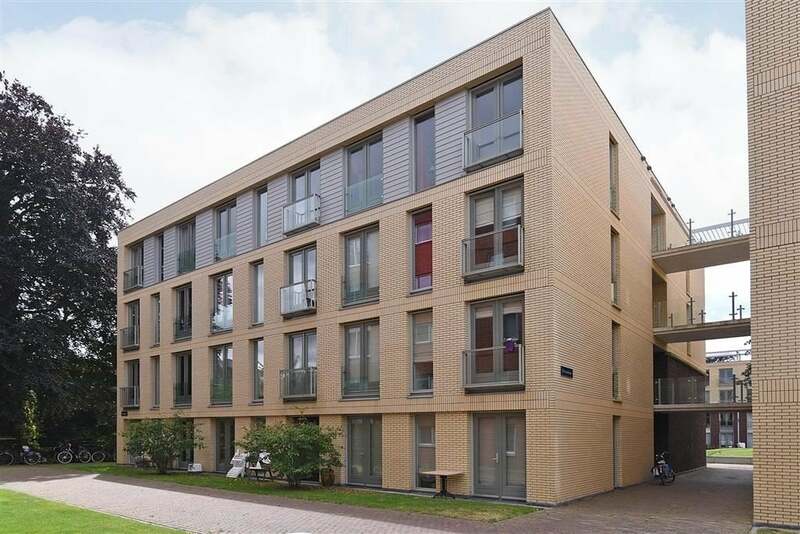 This apartment complex was built in 2009 and is located between the Spaarne and the park "The haarlemmerhout". From the apartment is the Centre within walking/biking distance and within a few car minutes you are already on the A9 direction Amsterdam, Utrecht and the Hague. The apartment is located within walking distance of the lively centre of Haarlem. Located on the former hospital site "The Maria Foundation" modern finished 2-room apartment of about 60 sqm located on the ground floor. From the living room of the apartment you have access to a (joint) piece of garden. The apartment is serviced by a lift from the lower garage directly as well as through the Central main entrance with video/intercom system. Through the joint closed entrance or through the parking garage, the apartment is accessible. Ground floor: entrance/hall with access to toilet with fountain, bathroom with walk-in shower and wash basin, large storage room with washing machine and dryer, spacious bedroom, Nice living room with sliding doors to (jointly) piece of Garden located on the South-East (up to approx. 14:00 you can enjoy the Sun) ... living room with open kitchen in corner establishment equipped with all modern appliances. From the kitchen access to a second large storage cupboard. From the living room there is access through French doors (collectively) piece of garden.